The Celsi Puraflame® Curved wall mounted LCD electric fire features a stylish curved black glass fascia and uses state-of-the-art technology to create the most realistic fire effect available today. With a choice of three flame pictures, five flame speeds, four mood lighting options and much much more, the Celsi is the most functional electric fire in the world. It is also extremely versatile and can be installed in almost any room in your home. 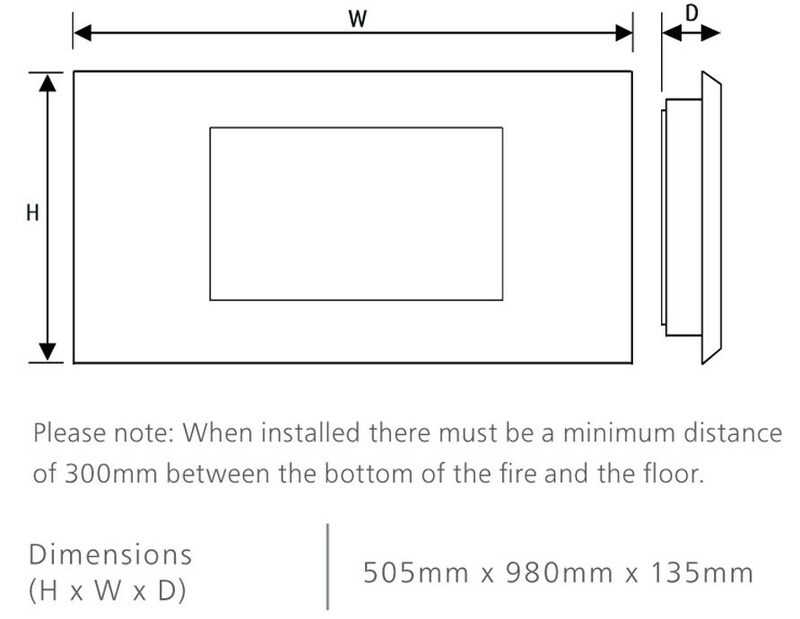 Always refer to the installation manual before installing the appliance. Click the button below to add the Celsi Puraflame Curved Wall Mounted Electric Fire to your wish list.